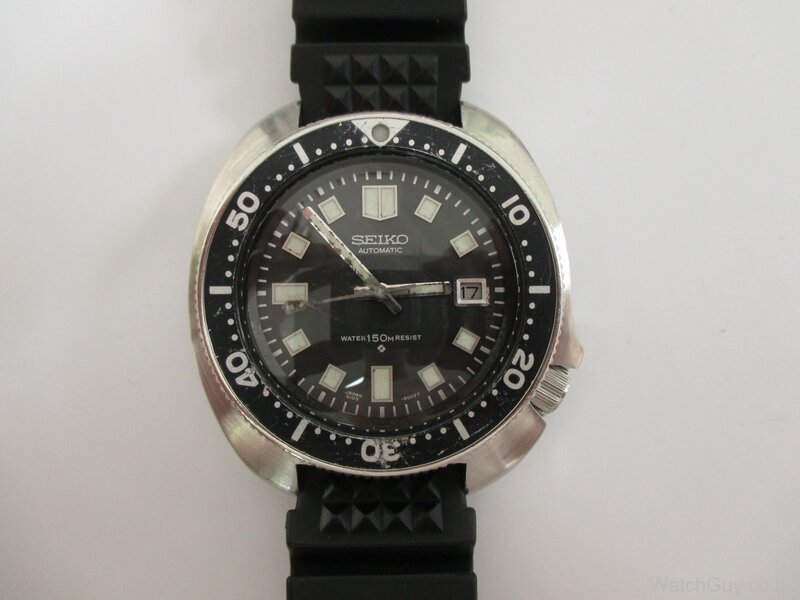 This is the iconic Seiko “Turtle”, THE classic Seiko diver. 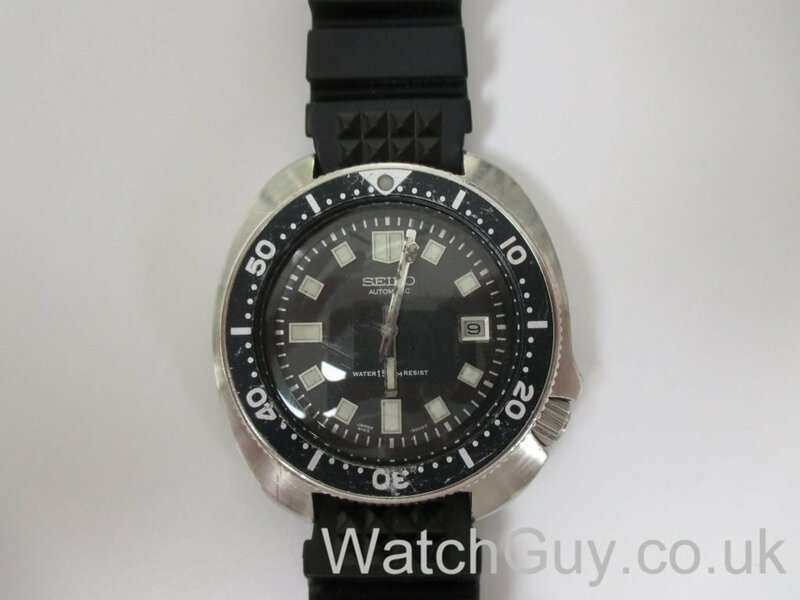 Although Seiko obviously designed this as a dive watch, it was also a great choice for a soldier in combat. 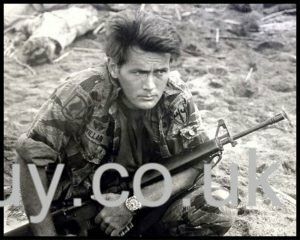 It was immortalised in the film Apocalypse Now, where it was worn by Martin Sheen. Water resistant, with a simple robust automatic movement, a timing bezel and also a hacking feature for synchronising (and of course a G-shock wasn’t available back then!). 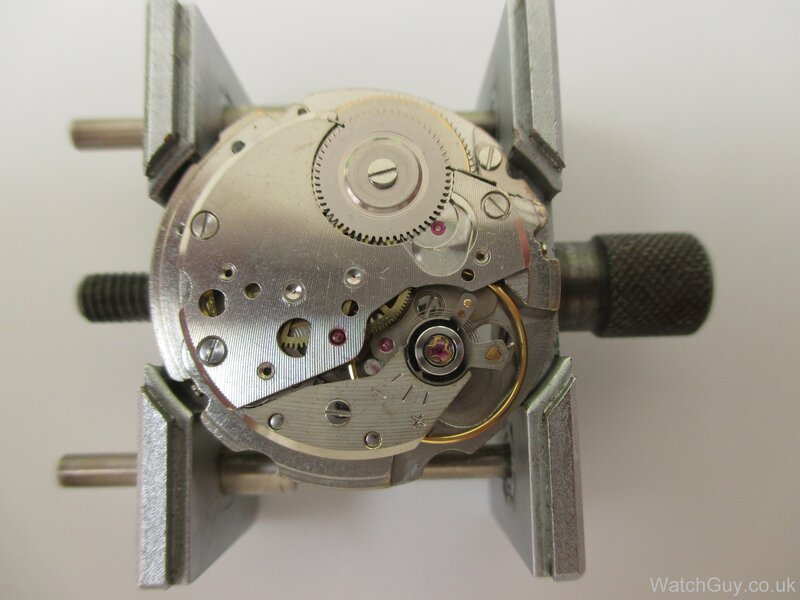 This example was sent in by David, he wanted the movement serviced but no cosmetic work to be carried out at all. The movement is a 6105B and is not running at all well and is obviously overdue some TLC. 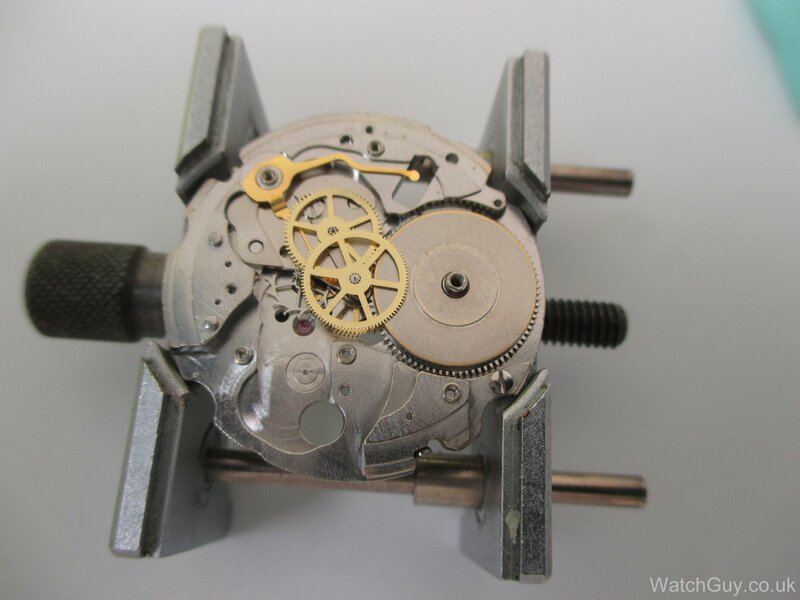 After removing the movement from the case and taking the dial and hands off, it appears that the dial and hands are original, this is a rare thing these days and increases the value of the watch dramatically. Although I believe the seconds hand should have a red dot on the end so maybe it has been relumed in the past. 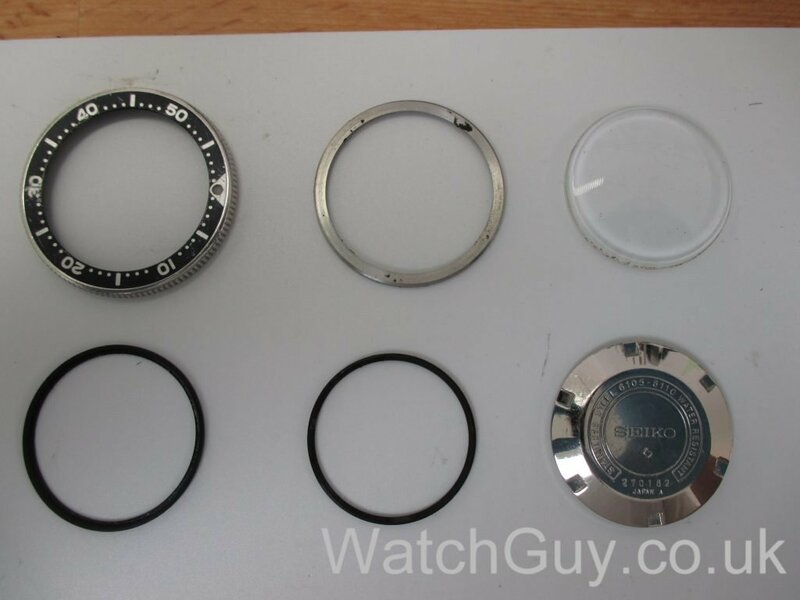 A lot of these watches have had redials or been “modded” to make the watch resemble another model, or just to have a different colour dial and hands, consequently there are fewer original examples out there which goes some way to explain why the value of these watches has increased quite a lot in the last few years. The disassembly is trouble free with no damaged parts, just a bit dirty and dry. The bezel is removed and the case disassembled, the case is then ultrasonically cleaned and I manually cleaned underneath the bezel and the crystal. Movement parts now clean and ready to be reassembled. 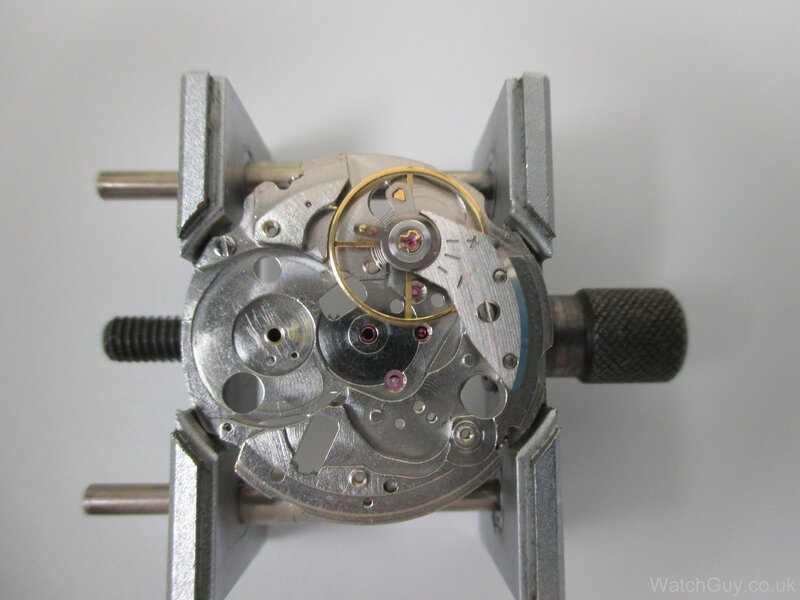 The cap jewels are Epilame treated and oiled and refitted to the balance, the movement is then given a gentle rotation to get the balance moving, it is observed to see if the balance moves without resistance and comes to a very gradual and not abrupt stop. 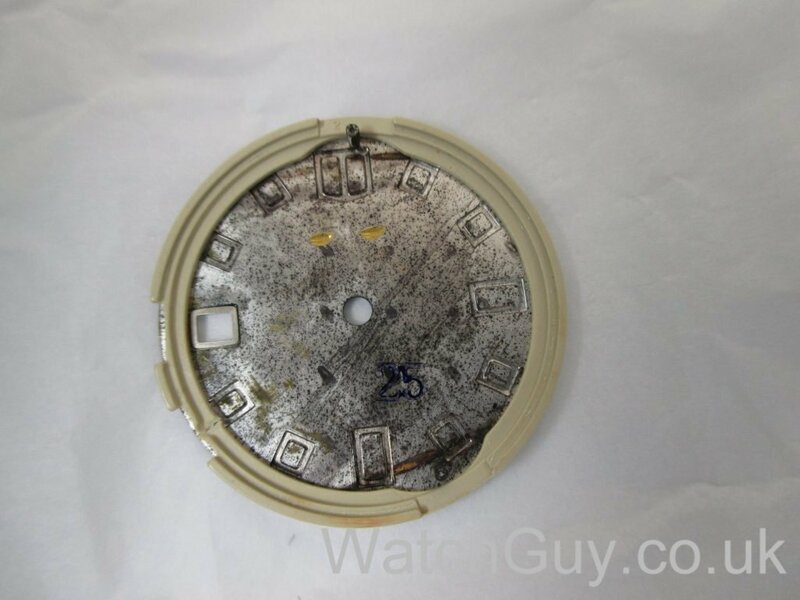 The mainspring is fitted into the barrel. 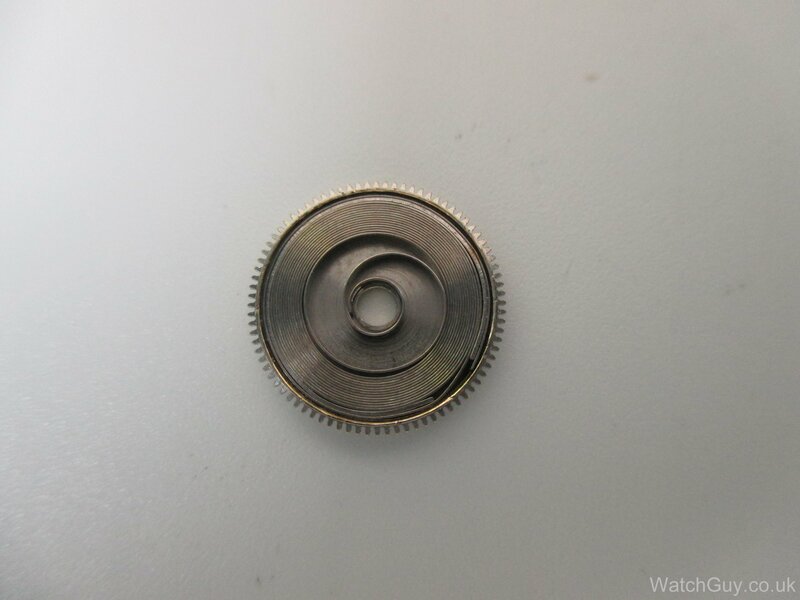 All is well so I proceeded to fit the barrel and gear train, here you can see the hacking lever, always a nice feature to have and not always found on other Seiko divers. The train bridge is then fitted and the gear train is checked to see if it turns freely before fitting the pallet fork. After the pallets are fitted and checked the balance goes in and then it’s put onto the timegrapher. This looks a lot more healthy. The movement is turned over to fit the keyless works, motion works and calendar. 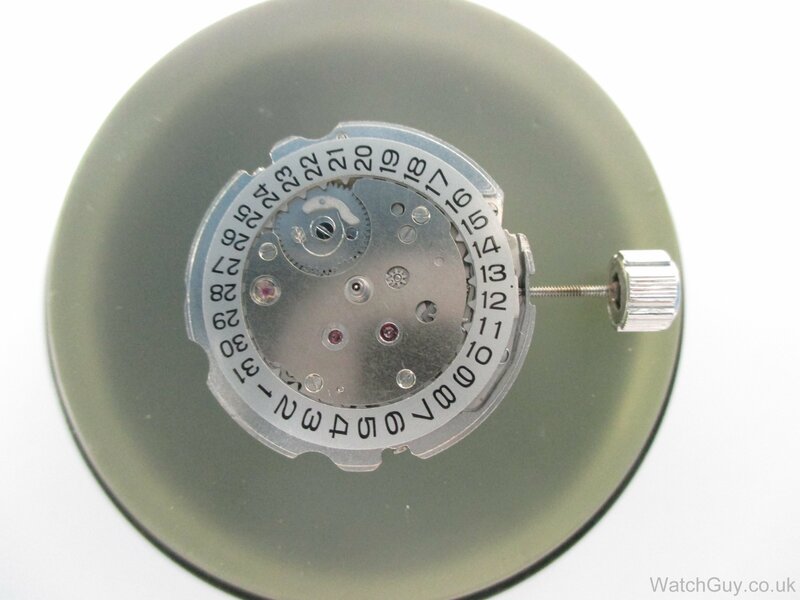 The dial and hands go back on and the movement is fitted into the now clean reassembled case. The auto winder mechanism is then reassembled. It doesn’t get anymore simple than this for a bi directional auto winder. Perhaps a bit crude, but efficient and very robust and reliable, which is what you want in a watch such as this which was designed to take a beating. This movement does not have manual winding, but a few flicks of the wrist is all it takes to get it going, AKA the Seiko shuffle! 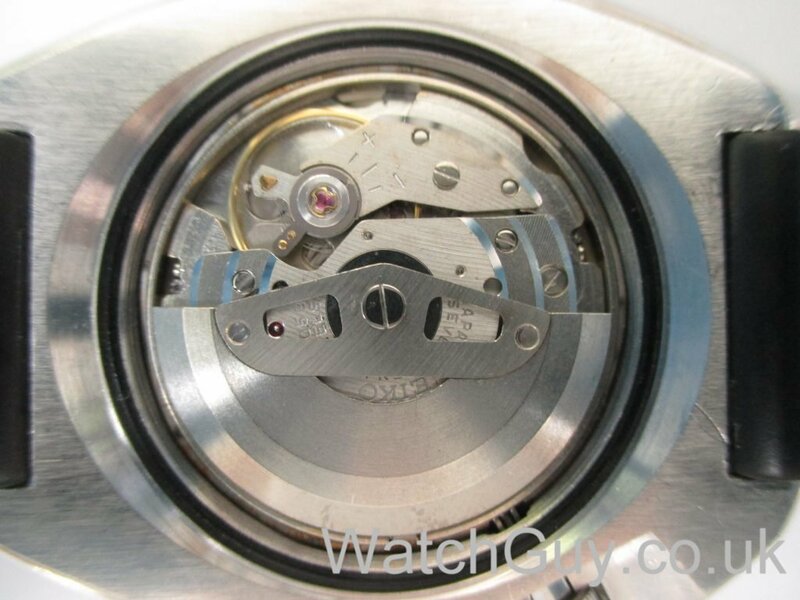 A new gasket is fitted and it’s almost done, just another quick check under the microscope to make sure no fibres or dust have managed to sneak into the movement before the case back is fitted. Looks like there was some brassing around the barrel. 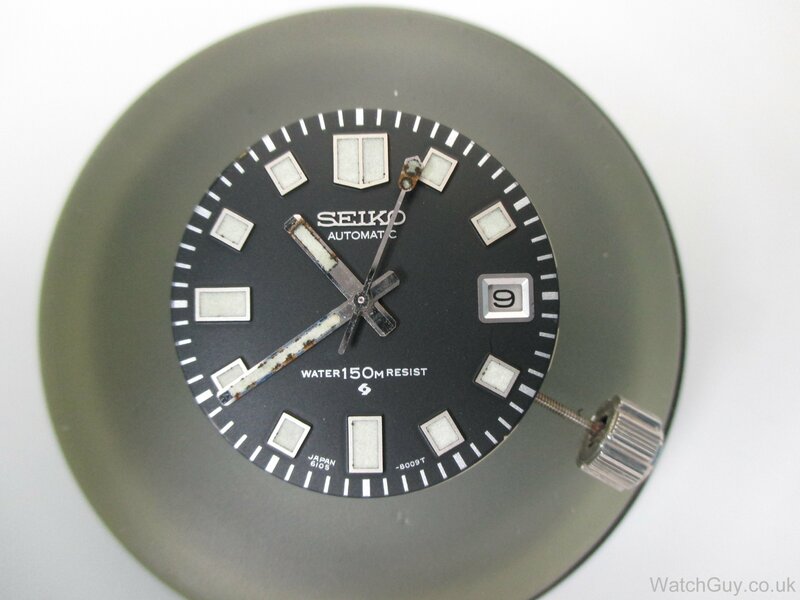 This happens with many Seikos when the arbor holes wear and the barrel tilts over and contacts the bridge. There are jewel kits available to remedy the situation. It’s a much better solution than the old “close the hole with a punch” method. Didn’t know about these and just found them on eBay. Great shout! 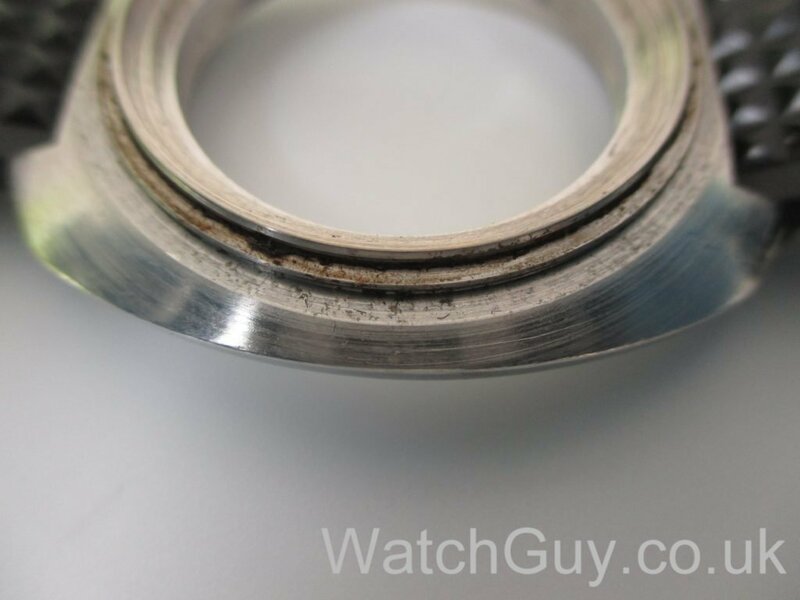 Yes, you can see some wear on the arbor hole where the arbor has tilted. Possibly the bushing under the ratchet wheel is worn as well. If it is, you could consider pressing the bush out and rotating it 180 degrees so that the loading is on the unworn side to put the arbor more upright. Not ideal but again better than a punch. I didn’t know about the jewel kit, .Also can’t understand why Seiko didn’t bother to jewel the 3rd and centre seconds 4th wheels. The jewel kit has a replacement for the stainless bushing, and since you really need to fix the mainplate arbor hole, you can do both at the same time. Seiko didn’t jewel the wheels for simple cost saving measures. They can be swapped with other Seiko jeweled plates if you want to “hotrod” them. With the lower amplitudes these movements produce, wear was reasonable. 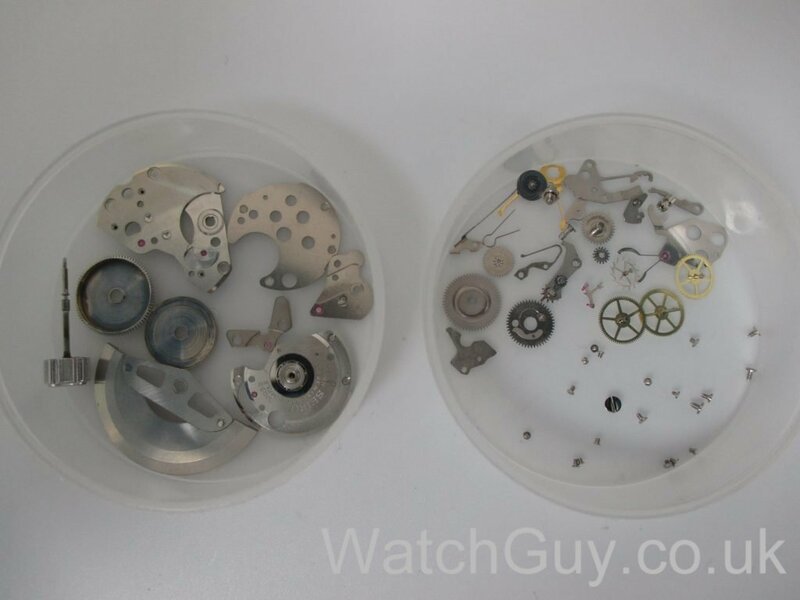 I’ve serviced a few that were never opened in 40+ years that still kept reasonable time. 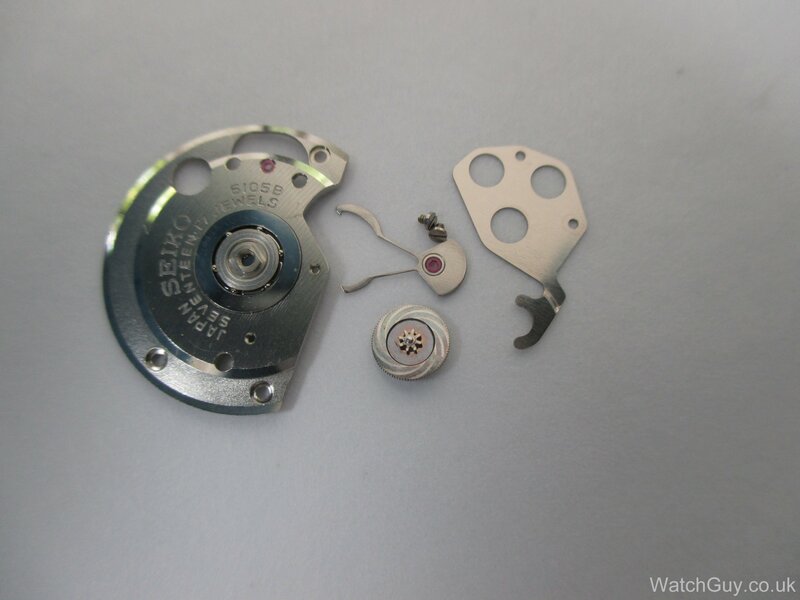 Thank you so much for the step by step approach to repairing this watch. I find it interesting that the owner wants the watch to work like new but to look well used. 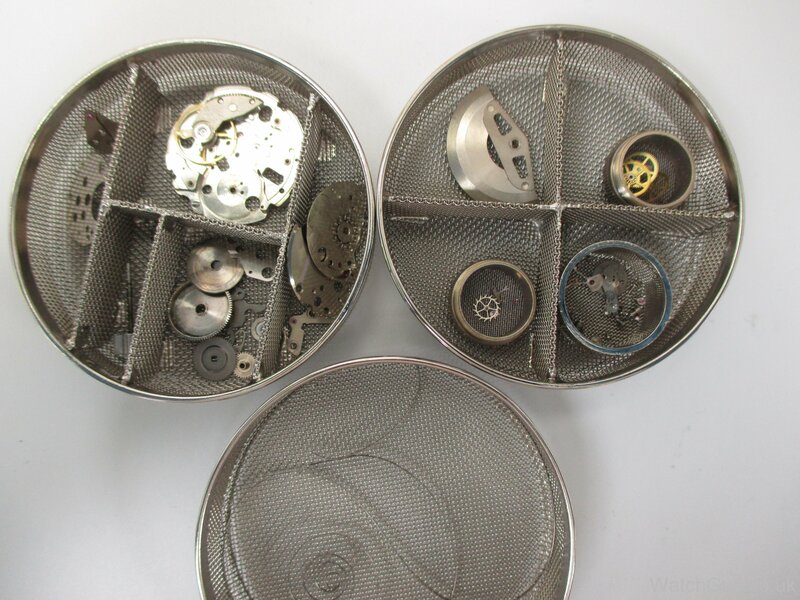 Do you find that you have more customers who want their watches completely overhauled to look as good as new, or that you have customers who prefer the “lived in” look? 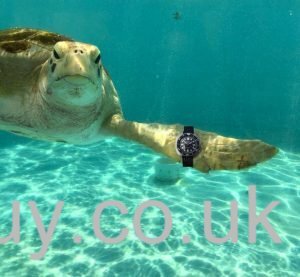 Each to their own I guess, it also depends what type of watch it is, a dress watch with a scratched crystal isn’t going to look so nice, where as a seiko diver with a scratched crystal can be attributed to “The time you scraped it against some barnacles whilst wreck diving” even it was just scratched while typing at the office desk! People do seem in general to think polishing of cases is a bad idea now, which is a good thing. 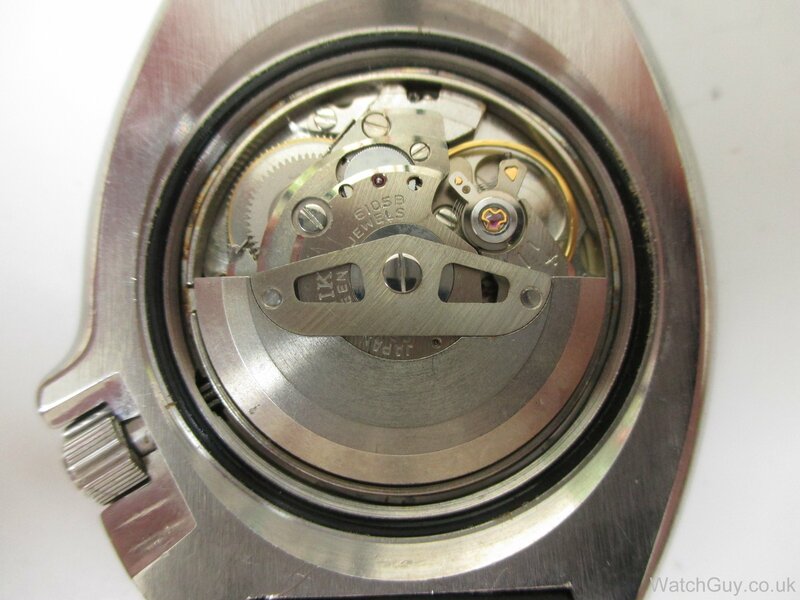 I’ve always wondered if Seiko’s magic lever winding system wouldn’t be prone to wearing out, specifically the two teeth on the lever, and those on the wheel it engages with. Are you using a new timegrapher? I haven’t seen that one in your posts before. I really like the dial on this. They’ve managed to give the date window the same visual weight as the 9 o’clock index on the other side, maintaining visual balance. So many date windows these days either stand out too much, not enough, or eat into a 3 numeral. Like most parts they can wear out, but they do seem to last very well compared to some reverser wheels and they are an awful lot cheaper to replace if they do wear out! 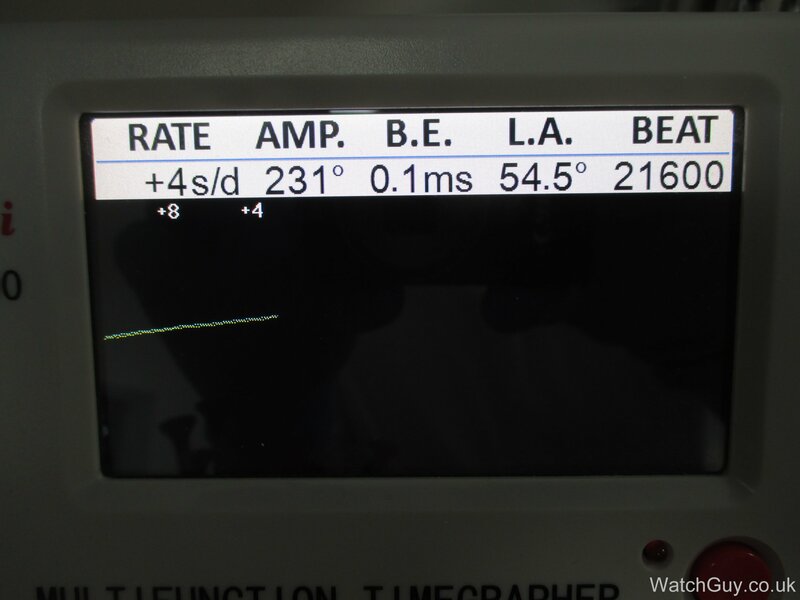 No this is not a new timegrapher, it does the job well but it’s not as fancy as Christian’s ? I know where you’re coming from regarding date windows, a date is a very useful feature on a watch which I do like to have, but I seem to prefer no date models. I’d take the symmetry of a no date dial over a badly placed date window every time! 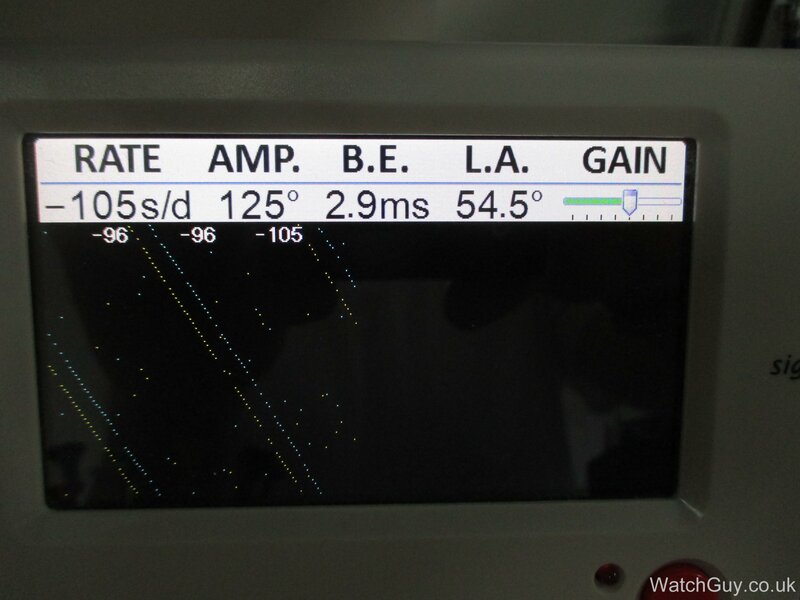 This is a typical amplitude for this movement after a service. One can’t expect great accuracy from these movements but they are normally reliable and robust and they are good value for money, which is what you want in a watch like this. Around 5 years between services should be fine. I have a few questions if i may. Many Seiko mechanical movements have lower amplitude vs other manufactures mechanicals. Even when new or freshly serviced. Is there a reason for that or is it just the design? Would that lower amplitude mean that a Seiko movement may need servicing more regularly? As amplitude over time tends to decrease. Or being that many seikos go a long time without service and work fine at lower amplitudes, while still keeping ok time. Is service interval somewhat within reason extended?